1 WHITE LIGHT ON, 1 RED LIGHT ON, and 1 BLUE LIGHT ON block for KIBO. 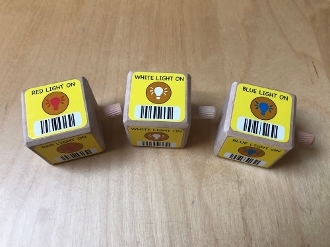 These blocks require the Light Bulb add-on module to function. Please be sure to order this module if you don't have it already!